Kingsbarn Real Estate Fund 5 makes mezzanine loans to (or preferred equity investments in) wholly-owned subsidiaries of KB Exchange Holdings (the "Sponsor") as bridge financing for its acquisitions. The Sponsor provides simplified 1031 Exchange solutions for private investors through fractional ownership. Through its wholly-owned subsidiaries, the Sponsor acquires high-quality commercial properties utilizing fractional ownership structures. The principals of the Sponsor are highly experienced real estate syndicators having acquired more than $2 billion of commercial income-producing properties and placing 1031 Exchange equity into the capital structure of the acquired properties. The mezzanine loans (or preferred equity investments) made by Kingsbarn Real Estate Fund 5 are part of the capital stack between the first mortgage (approximately 60%-65% LTV) and the equity provided by the Sponsor. The mezzanine loans are used as "bridge" financing for equity needed between the acquisition of the property and the sale of fractional interests in the underlying property owner or the property itself. Funds deployed by Kingsbarn Real Estate Fund 5 will be secured by indirect interests in income-producing commercial real estate. The Sponsor currently has significant investor demand for its property interests and expects that demand to increase in the coming years. A typical acquisition is one in which the Sponsor acquires a newly-constructed, single-tenant property with a financially strong tenant – usually a publicly-traded company. The Sponsor targets properties that investors would want to own if they had the equity needed for such a transaction, which is typically larger (in sales price) than what an investor could purchase individually. Although the Sponsor may invest in other types of fractional ownership interests, Delaware Statutory Trusts (DSTs) are presently the fractional ownership structures preferred by lenders due to the Sponsor retaining control of the investment and all major decisions throughout the life of the investment. The mezzanine loans (or preferred equity investments) are retired as the fractional interests in the underlying property are sold to 1031 Exchange investors. Mezzanine loans bear interest at a fixed rate and may include points and/or origination fees and have terms of up to twelve (12) months. 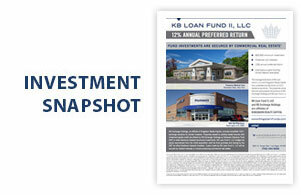 1 Loans made by Kingsbarn Real Estate Fund 5, LLC are secured by indirect interests in commercial real estate. This website does not offer to sell, and is not a solicitation of an offer to buy securities. Offers can only be made through the Confidential Private Placement Memorandum of Kingsbarn Real Estate Fund 5, LLC dated March 7, 2018, which contains various important risk disclosures. 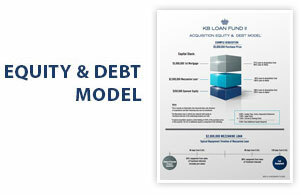 An investment in Kingsbarn Real Estate Fund 5, LLC is speculative and involves substantial risk. 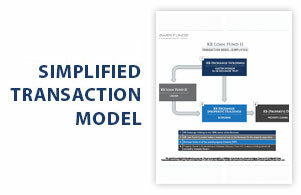 Projections of future performance are based on specific assumptions discussed more fully in the Confidential Private Placement Memorandum and do not constitute a guaranty of future performance. Interests in Kingsbarn Real Estate Fund 5, LLC may be sold only to “accredited investors” as defined in Regulation D under the U.S. Securities Act of 1933, as amended (the “Securities Act”), which, for natural persons, refers to investors who meet certain minimum annual income or net worth thresholds. Offers and sales of interests in Kingsbarn Real Estate Fund 5, LLC have not and will not be registered under the Securities Act or the laws of any U.S. state or non-U.S. jurisdiction and may be offered only pursuant to an exemption from registration. Neither the U.S. Securities and Exchange Commission nor any other regulatory authority has passed upon the merits of an investment in Kingsbarn Real Estate Fund 5, LLC, or has approved or disapproved of an investment therein or passed upon the accuracy or adequacy of this website and any supplementary materials describing an investment in Kingsbarn Real Estate Fund 5, LLC. An investment in Kingsbarn Real Estate Fund 5, LLC is not subject to the protections of the Investment Company Act of 1940, including the limitations on self-dealing, affiliated transactions and leverage contained therein. Interests in Kingsbarn Real Estate Fund 5, LLC are subject to legal restrictions on transfer and resale in accordance with the governing documents of Kingsbarn Real Estate Fund 5, LLC and applicable securities laws, and investors may be unable to sell or transfer their interests. In addition, there is no public market for the interests and no such market is expected to develop in the future. There can be no assurance that the 10% Annual Preferred Return will be achieved or that cash distributions will, in fact, be made or, if made, whether those distributions will be made when or in the amount anticipated. Investing in Kingsbarn Real Estate Fund 5, LLC involves substantial risk and investors should be able to bear a total loss of their investment.